Bessma Momani is professor at the University of Waterloo and Balsillie School of International Affairs. She is a senior fellow at the Centre for International Governance Innovation and author of Arab Dawn: The Demographic Dividend Arab Youth Will Bring. 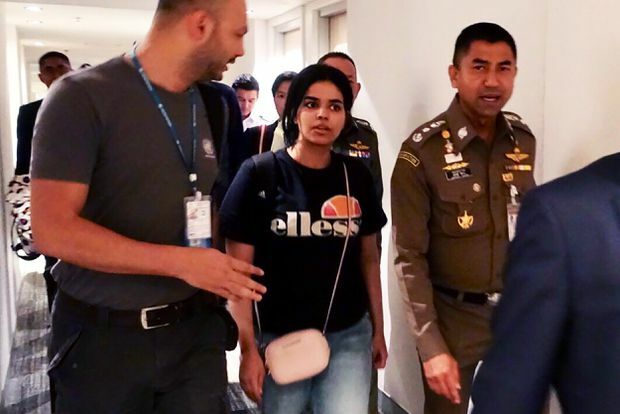 18-year-old Saudi woman Rahaf Mohammed al-Qunun being escorted by a Thai immigration officer, right, and United Nations High Commissioner for Refugees (UNHCR) officials at Suvarnabhumi international airport in Bangkok, Jan. 7, 2019.